"Mental", "mad", "psycho" and "mentally-ill". These are some terms which become an easy come back when we want to put down someone we despise. Or, we commonly use them to refer to someone whose mannerisms or thoughts we dislike, in turn tossing around clinical terms and/or pejorative phrases used against people with mental illness with casual disregard. However, when public personalities, who bear considerable social responsibility, use these words to mud-sling each other, it becomes problematic on a larger scale. Take for instance the case of politicians regularly using phrases like "pagal (hogaye hain)" to shoot down the antics of their opponents. 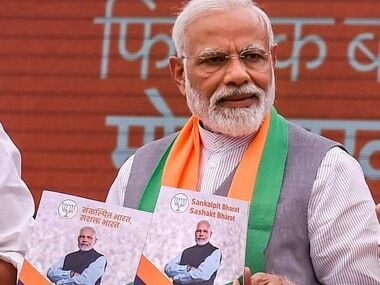 Recently, TMC chief Mamata Banerjee while campaigning for the upcoming Lok Sabha election said that her party's principal Opposition, BJP, was like a "psychiatric patient" after the saffron party asked West Bengal to be declared a "super-sensitive" state in the wake of polls. She said that the party does not know what they are doing, referring to its alleged desperation to make a mark in the state and win seats. While, Mamata and her followers, and even the BJP, might just see it as a statement made in the heat of political crossfire, it is deeply problematic that these terms are finding acceptance in everyday political lingo and general conversation while the fight against stigmatisation of mental illness continues. Comments demeaning or indirectly outcasting people suffering from mental illnesses should not become the norm nor should they be normalised in any form, including political sloganeering. In fact, according to a report by The Times of India, the Indian Psychiatry Society has asked politicians not to use the word ‘mental’ to describe their opponents in the run-up to the general election. 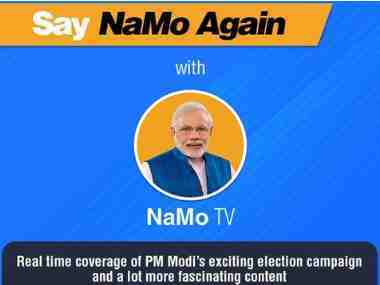 The society said it has observed that many politicians and people with political affiliations use terms such as "mental instability", "mad", "manasik (roop/taur se) asvasth", and "mental hospital mein bhejna hai" while taking a jibe at their opponents. They also refer to some mental hospitals saying that their political rivals need to be admitted to them, and use the names of those hospitals in their speeches, the council said in its letter to the Election Commission of India (ECI). “The words used by politicians and persons with social responsibility are discriminatory, inhuman and degrade the rights of people suffering from mental disorders,” the council stated. 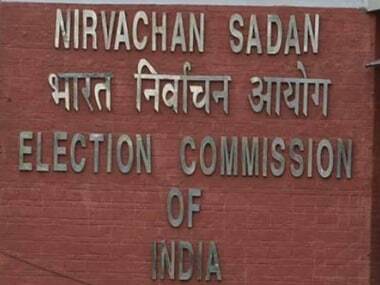 Urging the ECI to caution politicians and persons who use such words, the Society also asked the EC to bring it under the Model Code of Conduct (MCC). India is a signatory to the United Nations Convention on Rights to Persons with Disability (UNCRPD) and has also passed the Mental Health Care Act 2017 keeping up with the obligations of implementing UNCRPD. But despite this, politicians and their affiliates are often insensitive in their usage of words related to mental illness, and end up further promoting the stigma already surrounding such patients and their acquired behaviour. But what is the big deal about using these terms in jest, especially when one does not direct them at a person with a mental illness as an insult? A lot of psychiatrists argue that using a clinical term to describe a certain behavior — people who fuss about hygiene are OCD, for example — makes it seem as if everyone with the symptoms suffers with disorder, or vice versa, everyone who has the disease acts the same way. This makes it difficult for people to understand and recognise mental health conditions. Like for instance, not every time someone feels defeated, sad, or distressed are they experiencing 'depression.' And it is essential to differentiate the two so that not only are we more empathetic towards people suffering from the clinical disorder, but to also create awareness so that someone actually suffering from the disease finds it easier to accept it and seek help. Similarly, just anyone who is annoying to the other can't be termed as 'mad' or 'pagal'. It is an oversimplification of symtomps which are much more serious and clinical than what they seem to be to people who aren't made aware of them. Also, both these terms have pejorative overtones and public figures hurling them casually further normalises their usage in society. Jack Cahalane, chief of adult services at Western Psychiatric Institute and Clinic of UPMC was quoted as saying in an article: "Mental health issues are not well understood. They are not seen as real disorders. They are not seen as biologically based. They are seen as something they are brought on by people themselves as weakness in character." And this is the reason why people shy away from seeking professional treatment or even community help for their disorders. An Ohio State University research report suggested that the people who participated in the study showed less tolerance toward people who were referred to as "the mentally ill" when compared to those referred to as "people with mental illness." The findings of the research show that language choice should not be viewed just as an issue of "political correctness," said Darcy Haag Granello, one of the co-authors of the study. "This isn't just about saying the right thing for appearances," she said. "The language we use has real effects on our levels of tolerance for people with mental illness." An article by the Science Daily quoted Todd Gibbs, a graduate student at the university as he said that, "Person-first language is a way to honour the personhood of an individual by separating their identity from any disability or diagnosis he or she might have. When you say 'people with a mental illness,' you are emphasizing that they aren't defined solely by their disability. But when you talk about 'the mentally ill' the disability is the entire definition of the person." A simple change in the language might lead us to better understand the severity of the problems people bogged down with mental illnesses suffer from and ensure that they are treated with equal dignity and respect, despite it. Among the many challenges India faces, the most underappreciated is the ongoing mental health crisis, which can be best described as a ticking time bomb — sparsely focused at, despite the provisions of the Mental Health Care Act being put to the table. According to reports, an estimated 56 million Indians suffer from depression, and another 38 million from anxiety disorders. The intensity of mental disorders is particularly worrying in adolescents as almost half of all mental illnesses start by the age of 14, which grow in proportion as they go undetected and untreated. As a consequence, suicide is the second leading cause of death among this age group. A report published in Counterview states that there are only about 43 mental hospitals in the country, and most of them are in disarray. Whereas, six states, mainly in the northern and eastern regions with a combined population of 56 million people, do not have a single mental hospital. And most government-run mental hospitals lack essential infrastructure and treatment facilities. Also, not surprisingly, sustaining treatment in private clinics and hospitals is a long, drawn-out affair, which is expensive for most suburban families. And thus, mental care is always pushed to the back, when compared to the urgency of spending the savings for medical needs on other physiological ailments and needs. Not recognising mental illness at par with visible defects and diseases is another factor which adds up to the neglect. According to the report, mental health conditions account for 16 percent of the global burden of disease and injury in people aged between 10 to 19 years and globally, depression is one of the leading causes of illness and disability among adolescents. The consequence of not addressing mental health conditions extends to adulthood, impairing both overall physical and mental health of the grown-up and therefore, limiting opportunities to lead fulfilling lives as adults. This, in turn, impacts the overall productivity of the nation as well. A World Economic Forum-Harvard School of Public Health study estimated that the cumulative global impact of mental disorders in terms of lost economic output will amount to $16.3 trillion between 2011 and 2030. In India, mental illness is estimated to cost $1.03 trillion (22 percent of the economic output) during 2012-2030. Estimates also suggest that by 2025, 38.1 years of healthy life will be lost to mental illness in India (a 23 percent increase). Another study published in Lancet reveals that one-third of the global burden of mental illness – defined as healthy years lost to an illness – falls on China and India, where millions go untreated because of stigma and lack of resources. While in China, less than 6 percent people with anxiety and depression, substance use disorders, dementia and epilepsy seek treatment; in India, only about one in 10 people are thought to receive specialist help. 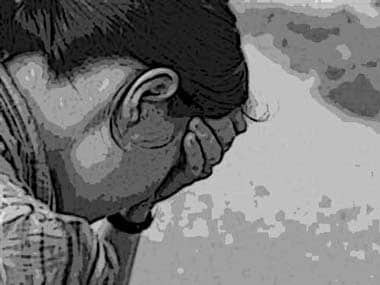 A survey conducted by the All-India Institute of Medical Sciences (AIIMS) in collaboration with WHO across 11 centres in the country, involving 3,000 people from each city, found that 95 percent of those with mental health-related problems remain deprived of treatment due to stigma, shame and fear of getting shunned from society. Whereas, according to a Ministry of Health and Family Welfare report, India faces a treatment gap of 50-70 percent for mental health care while highlighting the dismal number of mental healthcare professionals in India. About 3,800 psychiatrists and just 898 clinical psychologists are available in the country and a large number of them are situated in urban areas. WHO reports that there are only three psychiatrists per million people in India, while in other Commonwealth countries, the ratio is 5.6 psychiatrists for the same. By this estimate, India is short of 66,200 psychiatrists, the analysis states, but not shocks. As, mental health care accounts for a mere 0.16 percent of the total Union Health Budget, which is less than that of Bangladesh — which spends 0.44 percent. A developed nation’s expenditure on the same amounts to an average of 4 percent, the report says. Thus, staring at a glaring gap in the number of mental health patients and the availability of specialised doctors, proper health care professionals, hospitals, clinics and local medics to treat them. On the other hand, the taboo around the problem — experienced by such a large number of people — is such that people either suffer in silence or adopt enforced social isolation to deal with it. In villages, they are reportedly locked up in homes, tied to trees and even being flogged to exorcise "evil spirits" which others assume they might be infested with. Therefore, it is also essential to involve the social, health and education sectors in a comprehensive, integrated and evidence-based programmes for strengthening the overall healthcare framework at the grassroots level. Mental healthcare initiatives are presently focused on a narrow biomedical approach that tends to ignore socio-cultural contexts. Community mental health services, thereby, can offer to pitch in here, filling-in the need for the right mix of clinical, psychological and social services to people helping them cope with situations and bridging the self-created distance between them and the society at large. From years of outright neglect to coming of age by acknowledging a policy to cater to the same, India has come a long way in its fight and simultaneous support to mental health. However, more awareness, and filling the vacancies for specialists created as a consequence of the raised awareness, is the need of the hour which has to be addressed for those looking up to seek love and light and those willing to speak diligently to help the cause of many among us.